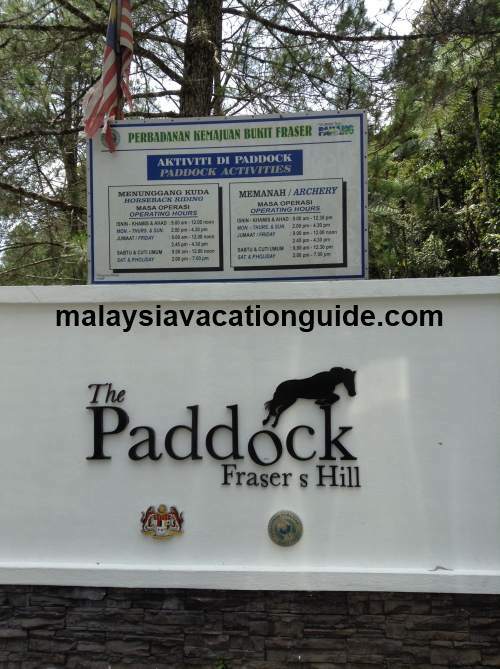 Here are some Frasers Hill activities that you can do while you are here. 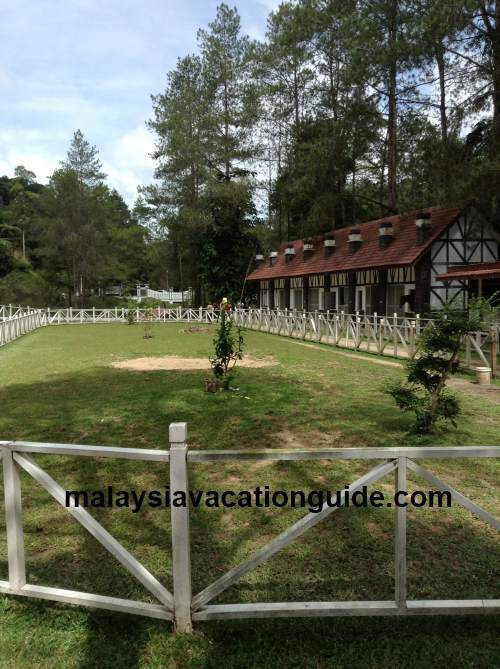 As this hill has not undergone much development compared to Cameron Highlands or Genting Highlands, the activities you can do here are smaller in scale. Family with children will enjoy boating at Allans Water which is located about 5 minutes drive from the Clocktower. The Paddock is packed with people during the weekends and public holidays. If you would like to learn more about the flora and fauna of this highland, try to walk the Hemmant Trail and see the many ferns, fungi, birds and moss. Remember to take your camera and binocular along with you together with a bottle of water. 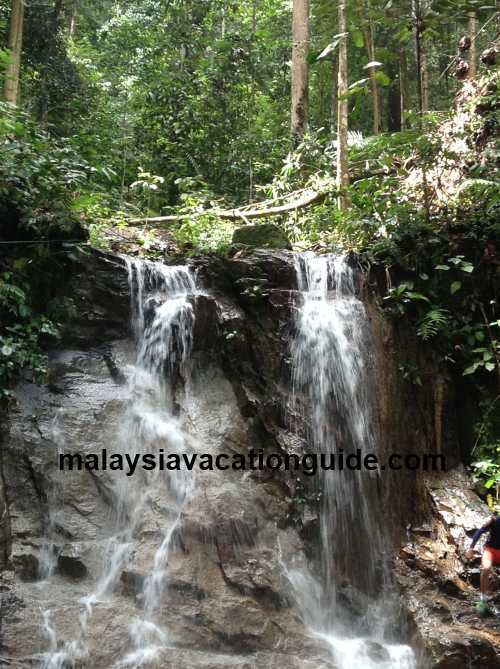 Once you have completed walking the Hemmant Trail, other trails you can go include Abu Suradi Trail, Bishop's Trail, Mager Trail, Rompin Trail and Maxwell Trail. You can park your car near the mosque and walk to the beginning of the Hemmant Trail. The Abu Suradi Trail is located just opposite the mosque. Other than going for boating and jungle trails, here are some other Frasers Hill activities that you can do. This activity is located at The Paddock where the horses are being kept. Children and adult can take a ride on the horse that is guided by the instructor. The ticket to ride the horse for one round is RM5 for adult and RM4 per child. If both adult and child prefer to ride together, the price is RM8 for one round. One round of horse riding at The Paddock. 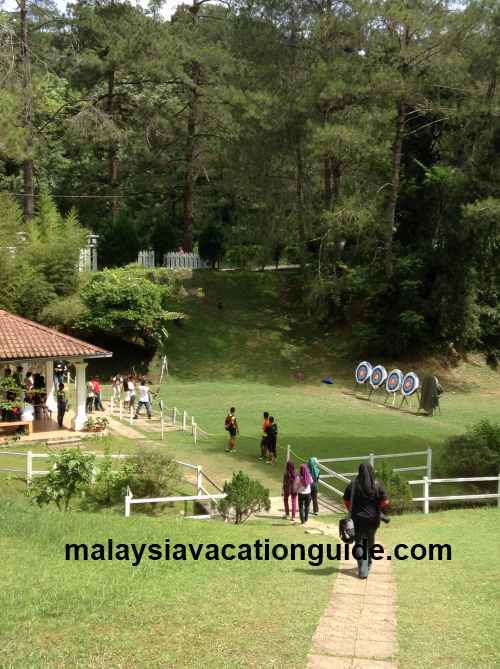 At the same compound of The Paddock, you can also try the archery. This is challenging if you have never try this sport before. Hitting the targeted bull's eye is not an easy task. You will probably need a few round of games to have a better feel of mastering this sport. The price is RM8 for 10 arrows. 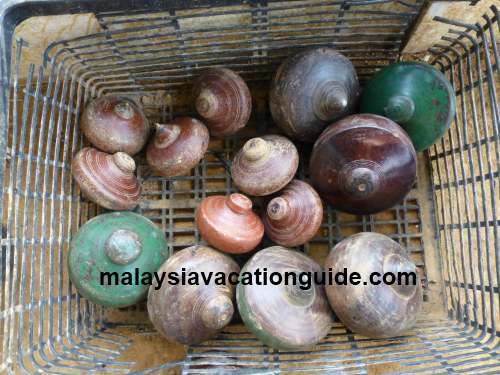 Blow pipe or "sumpit" in the Malay language is another activity you can try to do. This weapon is used by the natives to hunt for animals. The price is RM5 for 10 blow pipes. Try your archery skill at The Paddock. Try the Pahang Spin Top near the compound of Jelai House. 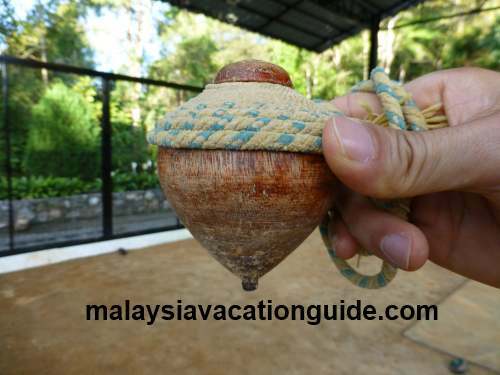 Known in Malay language as Gasing, this recreational activity is to try spinning the spin top which is made from solid wood with a metal inserted at the centre of the spin top. 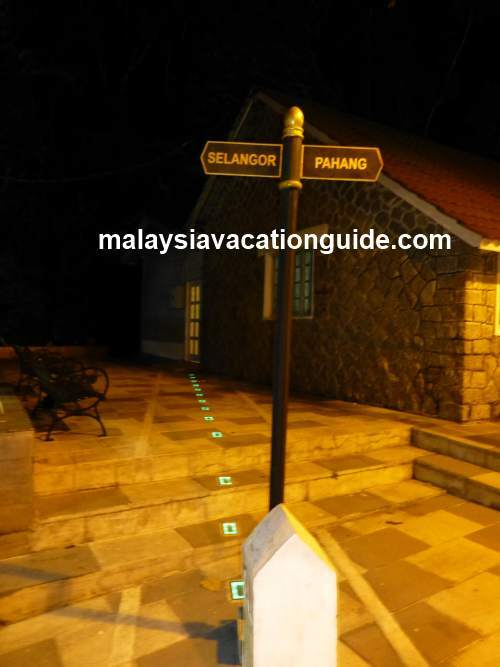 Look out for the signage "PERMAINAN GASING" as you drive towards Jelai Bungalow. A dedicated cage for top spinning. It will be fun trying this game with the objective of making the spin top landed properly and spinning as long as possible. The instructor will be there to guide you if you are new to the game. It will cost you RM5 per adult for 30 minutes of play and RM3 per child for the same duration. There is a mini golf course near the children's playground. 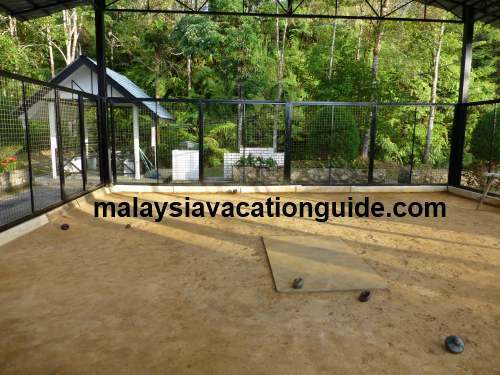 You can try your golfing skills for RM6 for a duration of 30 minutes. You can also try the Trikke that can be rented for RM8 per adult and RM6 per child for a duration of 15 minutes. 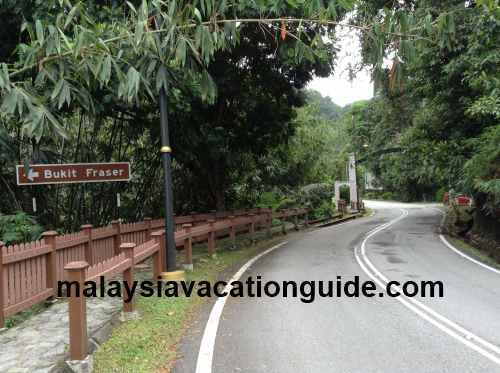 Enquire from the Fraser's Hill Development Corporation located at Puncak Inn. 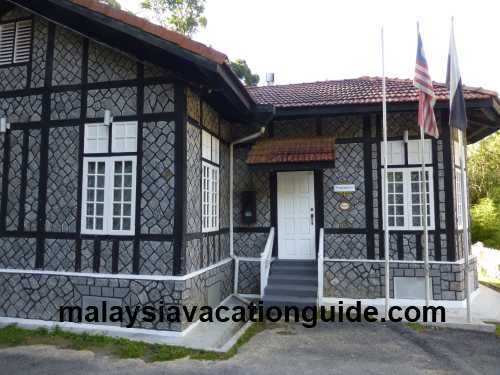 While here, remember to take a walk around town and enjoy the colonial style bungalow and buildings. You can experience a little bit of England on this highland by just looking at the architecture of the building. A colonial style house at Fraser's Hill. The coffee shop just opposite the police station. The Pahang and Selangor demarkation line. Look out also for the border between Pahang and Selangor on this highland. 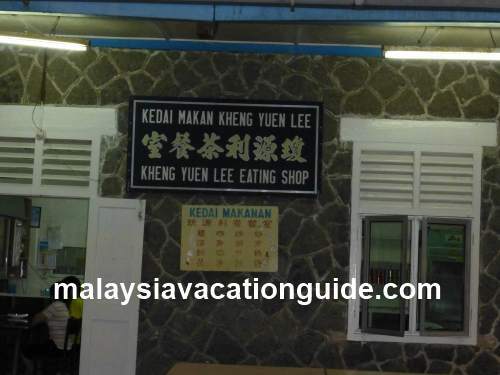 There is a demarkation line which is lighted at night located just beside the Kheng Yuen Lee coffee shop. You can take your breakfast, lunch or dinner at the coffee shop but take note that it usually close as early as 8pm if there are no more customers. As you descend the highland, look out for the waterfall by the road. You can park your car at the designated parking bays and enjoy the cool and refreshing water that originates from the top of the mountain. The small waterfall at the left of the road as you descend the hill. Stop by at the Gap and take some photos at the hanging bridge as a momento of your trip to Frasers Hill.